Game developer Electronic Arts on Tuesday announced its new EA Access plan, a $4.99 monthly subscription gaming service that offers an ever-changing roster of titles on the Xbox One console. In addition to access to the company's stable of largely sports-centric games, EA Access offers you a 10% discount when you buy EA games and memberships through the Xbox Games Store. 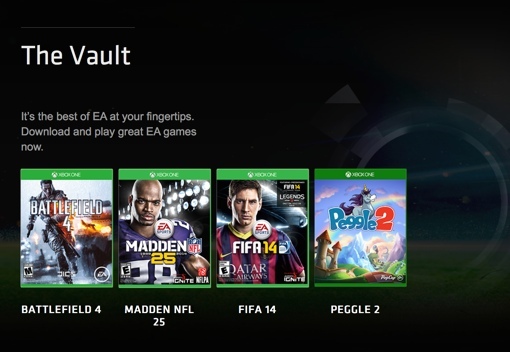 You also get the “Play First” benefit, which allows you to trial new EA games up to 5 days before their release dates. For more information on EA Access, take a look at the program’s website at ea.com/eaaccess.